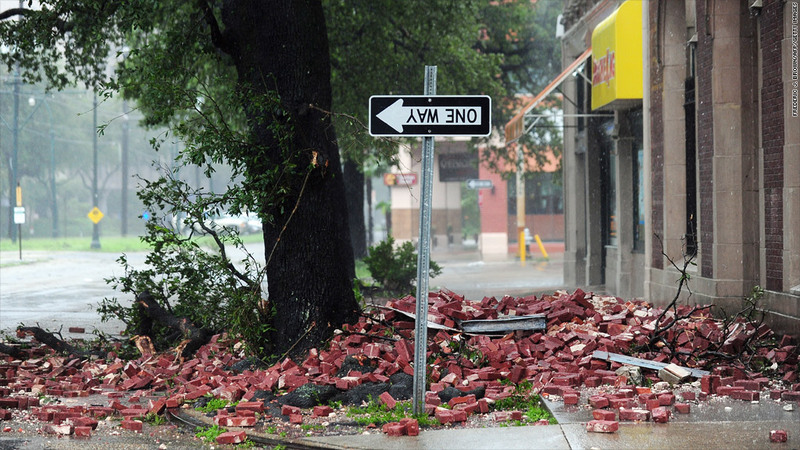 Hurricane Isaac passed through New Orleans on Wednesday. Onshore damages could range between $500 million and $1.5 billion. Hurricane Isaac's slow, rainy march through Louisiana is expected to cause as much as $1.5 billion in insured losses, according to one disaster modeling firm. While comparatively modest as hurricanes go, Hurricane Isaac is already wreaking havoc. More than 644,000 were without power in Louisiana, Mississippi, Alabama and Arkansas, power companies told CNN. And some 100 residents had been or were in the process of being rescued from flooded homes and rooftops in coastal Plaquemines Parish, according to CNN affiliate WWL. Eqecat, a catastrophe modeling firm, suggested onshore insured damage -- which includes residential property, commercial property, energy production and the interruption of business but excludes most flooding damage -- would run between $500 million and $1.5 billion. The firm excludes flooding because the federal government insures against flood damage for most properties. 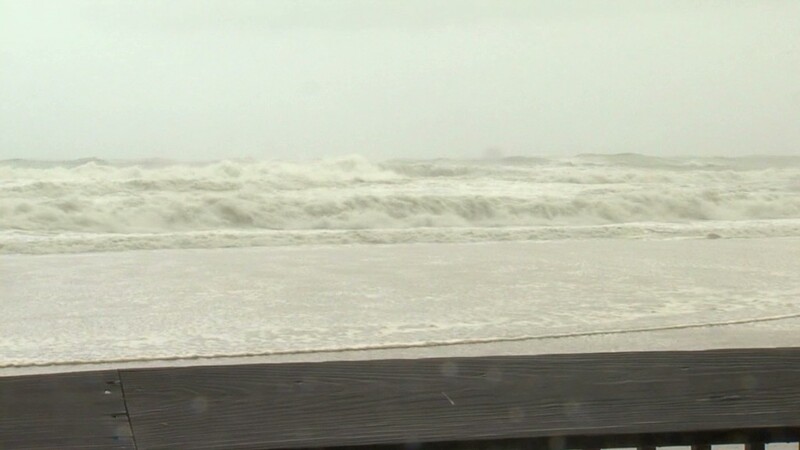 The storm could also cause more than $500 million in damages to off-shore energy production. At those estimates, the Category 1 Isaac, with winds topping out at 80 miles an hour, looks nothing like Hurricane Katrina, a Category 3 storm, with winds around 125 per hour. Some 1,800 people died after that storm when New Orleans levees failed to hold back rising flood waters. Katrina caused $45 billion in private insurance damage, excluding flood losses, according to the Insurance Information Institute. But Hurricane Isaac does resemble Hurricane Gustav, a 2008 Category 2 storm that followed a similar path and caused $2 billion in insured damages. Isaac's economic damages could grow, as the storm is only moving 10 miles an hour and vast and spans 200 miles. "If you're in New Orleans, as the storm moves across, you're going to be exposed to 20 hours of a long storm," said Tom Larsen, Eqecat senior vice president and product architect. With a longer storm, the risk of flooding damage increases, said Michael Kistler, director of model solutions at RMS, another catastrophe modeling firm. "Because of it's staying in one place a long time, there's the potential for storm surge," Kistler said. "This is not a Katrina," he added later. RMS and other risk modeling firms are expected to release damage estimates in coming days. CNN's Josh Levs, Joe Sterling and Alanne Orjoux contributed to this report.